Following on from last month's 40 Creative Prompts post, I thought I'd turn this into a little monthly series for any creatives out there that are looking for further inspiration. 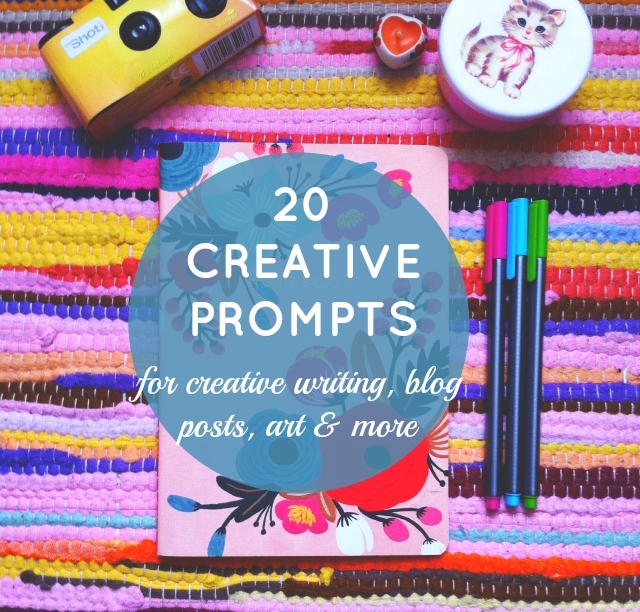 These prompts are extremely vague for a reason; I want you to be able to use them for whatever you see fit: for stories, pieces of art, a series of photographs, ideas for blog posts, whatever takes your fancy! Take them literally or have a bit of fun with them. It's up to you. I really enjoyed hearing about all the things you were hoping to use these prompts for last month so if you've still not got round to using them yet, now's the time to pencil in some creative time over the next week or so. This is such a cool post! It's something I've never tried before either so it'll be nice to try and get more creative, it's kinda like thinking outside the box in a way! I need some of your creativity haha! Ooh, thanks a bunch! I am a writer always looking for random little words. Often I have to resort to asking my family for the first word they can think of. I've gotten "elephant" more than I care to mention. Thanks again! Think I'll save some of your prompts for when I'm thinking of things to draw!